We realized doors were not insulated, so we carefully removed cover panels on the back doors and sliding door. 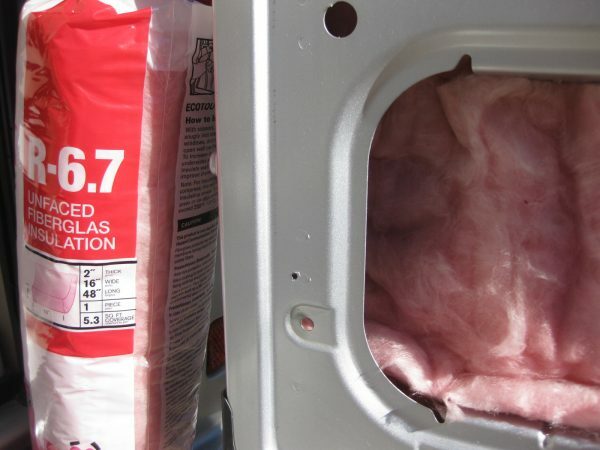 We lined the cavities with 2″ thick batt insulation. We are happy with the results as it seems to cut down on cold air drafts as well as hot air infiltration. 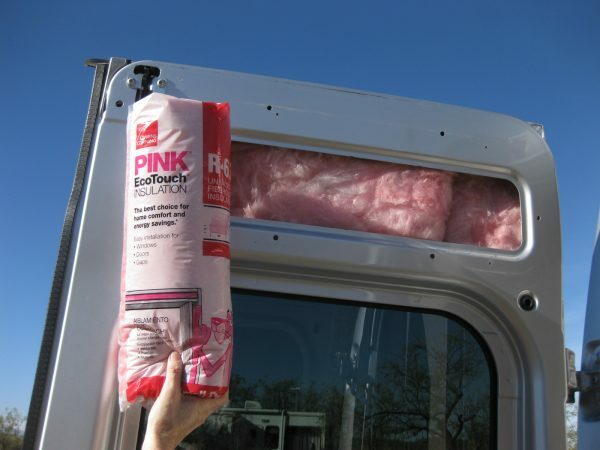 We used a total 7 rolls of 16″ x 48″ unfaced fiberglass, purchased at the local Home Depot. 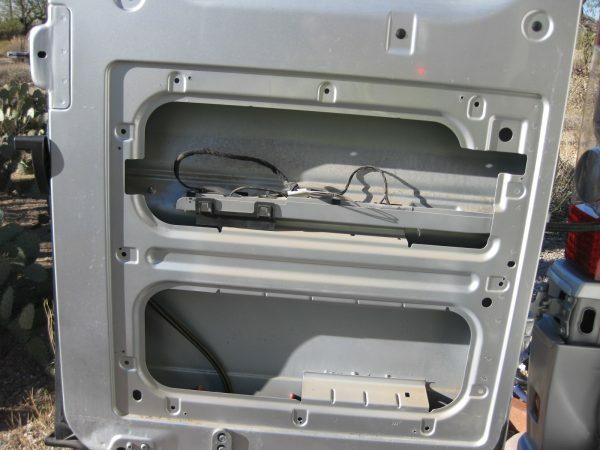 This is the lower portion of the sliding door. We also used some Great Stuff “Big Gap Filler” insulating foam sealant on the top and bottom 8″ of the sliding door for more efficient seal. 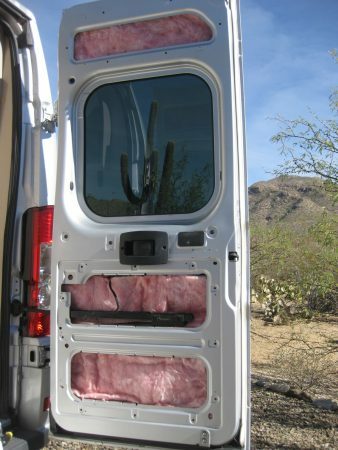 This is the back passenger door before insulation. 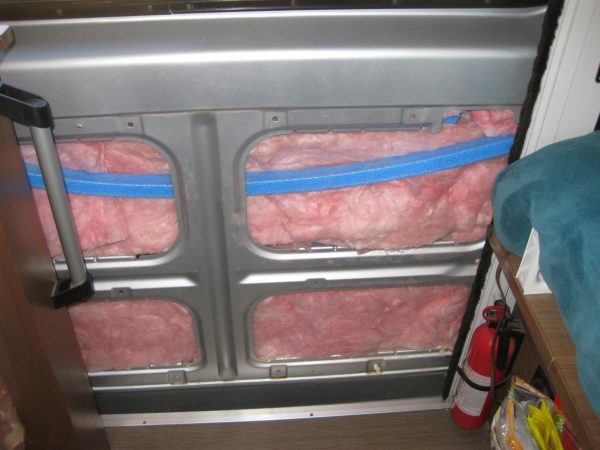 There is option for a storage compartment but we wanted the insulation. 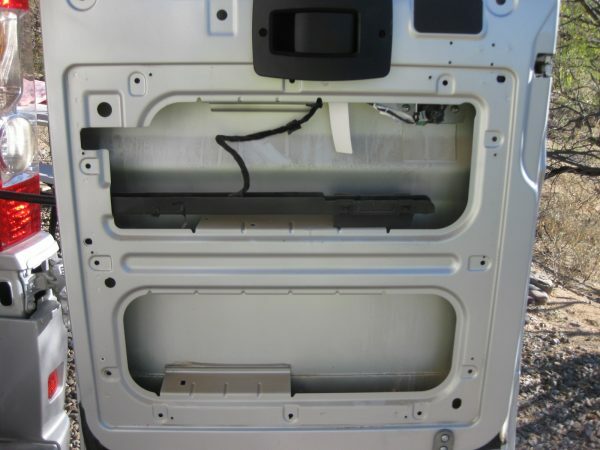 This is back driver side door which also shows an option for additional storage. This entry was posted in Travato 59K. Bookmark the permalink.